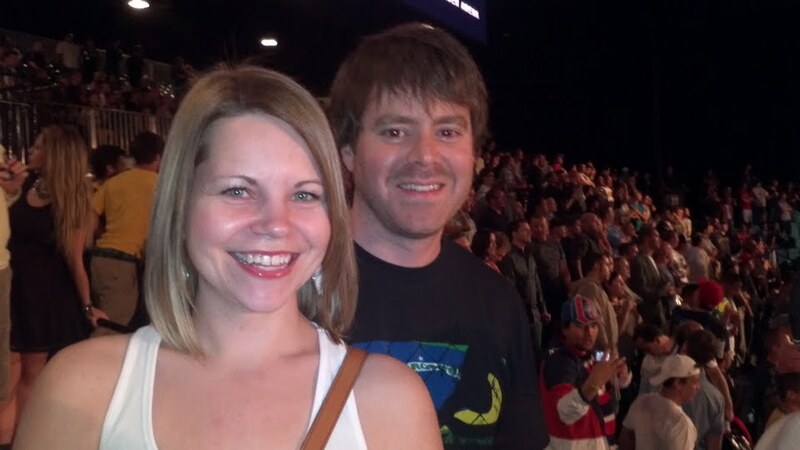 In case you didn’t know, I spent five days in Vegas this past weekend with my husband, my sister-in-law and her husband! While I did manage to devour a really good book on the plane ride, instead of talking about the book, I'd rather talk about Vegas. Inspired by the ever-hilarious Brenda’s, “What I Know This Week” posts on her website's blog, Unlimited BS, I thought I would do something similar. 2. I much prefer to watch other people gamble with their money. 3. Always try on last year’s summer clothing before going on a trip. Or you could end up bringing a bunch of clothing that’s too tight. Oops. 4. Not being able to use your cell phones to text the people you’re on vacation with makes meeting up so much more difficult and wastes a lot of time. Seriously, how did we do it before cell phones were invented? I bet we were a much more patient species back then. 5. Starbucks coffee is more expensive in Vegas just because it’s Vegas. 6. UFC is WAY better live than on TV. 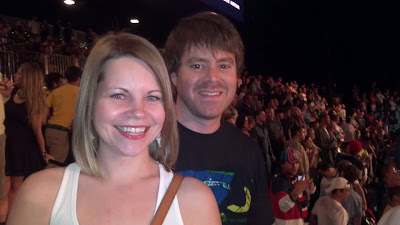 Jim and I at UFC 146! 7. I love roller-coasters! And my stomach can still handle them! 8. Spandex and short skirts know no limits in Vegas. 9. In my next life, I desperately want to be a Cirque du Soleil performer. Or a Burlesque dancer. I'm not picky. 10. 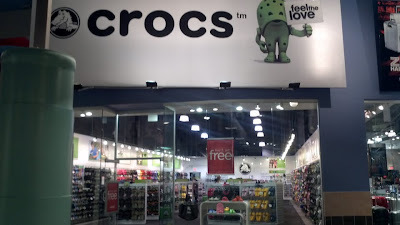 There is an entire store dedicated to just Crocs, where I'm pretty sure 40-year old virgins hangout and shop. Seriously. An entire store full of them.